Collagen protein is a major component of skin, joints and the digestive tract. As we age, our bodies’ production of collagen declines. Supplementing with collagen peptides can support healthy skin, improve joint health, and support the digestive tract. RenewGen contains a special form of collagen peptides developed by scientists. When they tested it in a human trial, they found it had the remarkable ability to help the body re-grow brand-new, cushioning cartilage. It can also reduce joint discomfort and increase flexibility. Stop making your joint discomfort with temporary solutions. Instead, give the body what it needs to re-grow healthy, comfortable joints. Give you the discomfort-free body and confidence to play 9 rounds of golf… work in your garden for hours on end… or even chase your grandchildren around the house! Renewgen has virtually no taste and mixes well with any beverage. Does it come with a scoop? Yes, each bottle contains one 10-gram scoop. Can I mix it with hot beverages or cook with it? Yes. 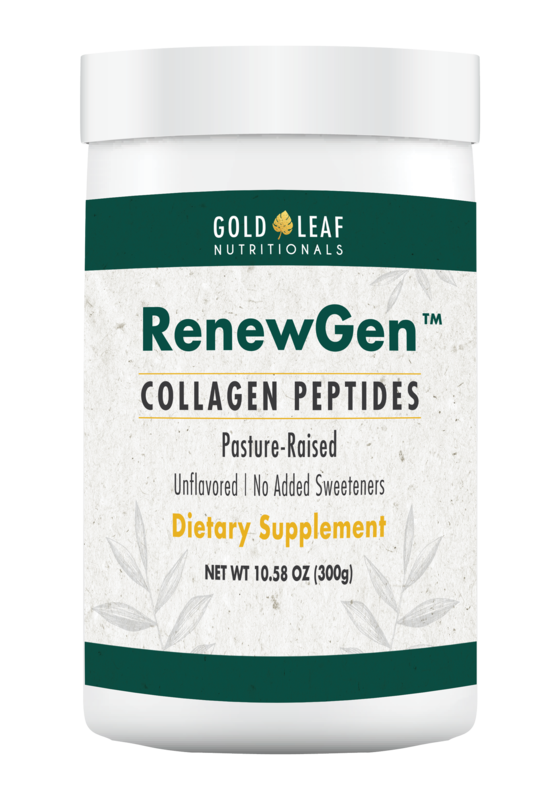 RenewGen collagen peptides retain their beneficial effects even when heated. Start re-growing your joints today. And… if you aren’t thrilled with your results, we’ll give you back every penny of the product price. Take this opportunity NOW to discover just how fast this formula can relieve your discomfort, strengthen your joints, and make you feel half your age.